Here, the Canadian research network CanSISE uses state-of-the-art observations of snow and sea ice to assess how Canada's climate model and climate prediction systems capture variability in snow, sea ice, and related climate parameters. 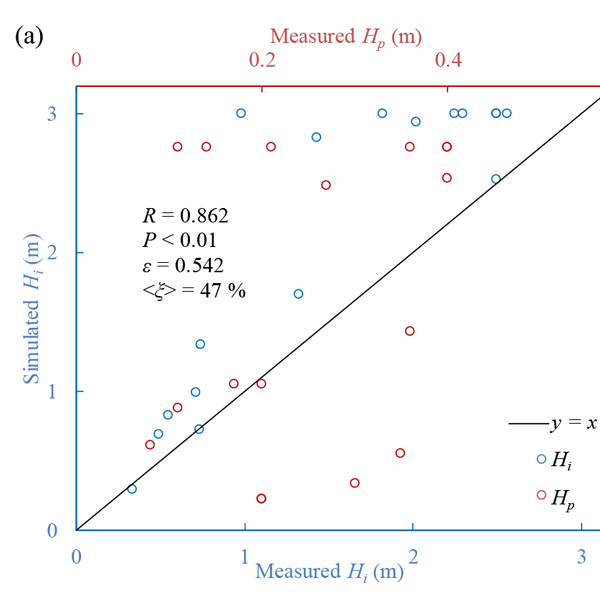 We find that the system performs well, accounting for observational uncertainty (especially for snow), model uncertainty, and chaotic climate variability. Even for variables like sea ice, where improvement is needed, useful prediction tools can be developed. 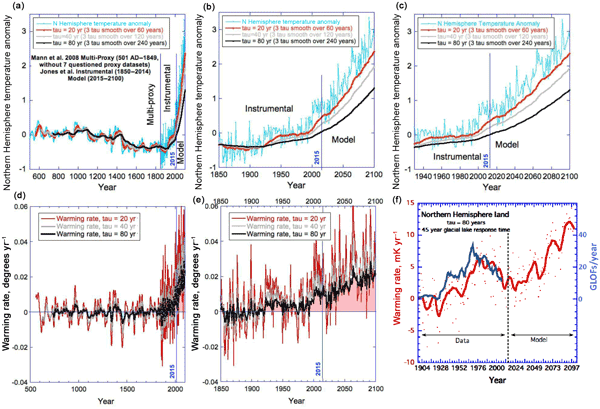 This paper presents changes in both snow and sea ice that have occurred over Canada during the recent past and shows climate model estimates for future changes expected to occur by the year 2050. The historical changes of snow and sea ice are generally coherent and consistent with the regional history of temperature and precipitation changes. It is expected that snow and sea ice will continue to decrease in the future, declining by an additional 15–30 % from present day values by the year 2050. The deposition and preservation of NO3− across East Antarctica was investigated. On the coast, dry deposition contributes 27–44 % of the NO3− fluxes, and the linear relationship between NO3− and snow accumulation rate suggests a homogeneity of atmospheric NO3− levels. In inland snow, a relatively weak correlation between NO3− and snow accumulation was found, indicating that NO3− is mainly dominated by post-depositional processes. The coexisting ions are generally less influential on snow NO3−. Most mountain glaciers have receded throughout the last century in response to global climate change. This recession produces a range of natural hazards including glacial lake outburst floods (GLOFs). We have produced the first global inventory of GLOFs associated with the failure of moraine dams and show, counterintuitively, that these have reduced in frequency over recent decades. In this paper we explore the reasons for this pattern. The present study address the glacier–atmosphere relation on King George Island (South Shetland Islands) at the northern Antarctic Peninsula. 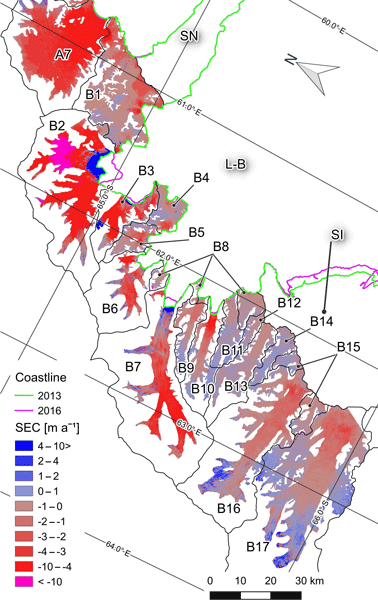 The focus is on 5 years of glacier mass balance observations and the adaptation of a spatially distributed, physically based mass balance model. The focus is on the analysis of equilibrium line altitude and catchment runoff. The observed changes are expected to have a direct impact on environmental conditions in coastal waters and biota. This article addresses local changes of seasonal snow and its meteorological drivers, at 1500 m altitude in the Chartreuse mountain range in the Northern French Alps, for the period 1960–2100. We use an ensemble of adjusted RCM outputs consistent with IPCC AR5 GCM outputs (RCPs 2.6, 4.5 and 8.5) and the snowpack model Crocus. 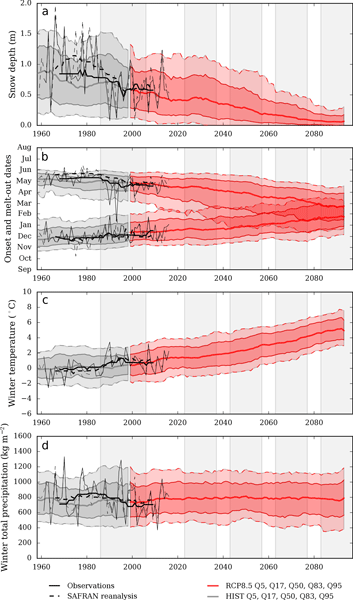 Beyond scenario-based approach, global temperature levels on the order of 1.5 °C and 2 °C above preindustrial levels correspond to 25 and 32% reduction of mean snow depth. 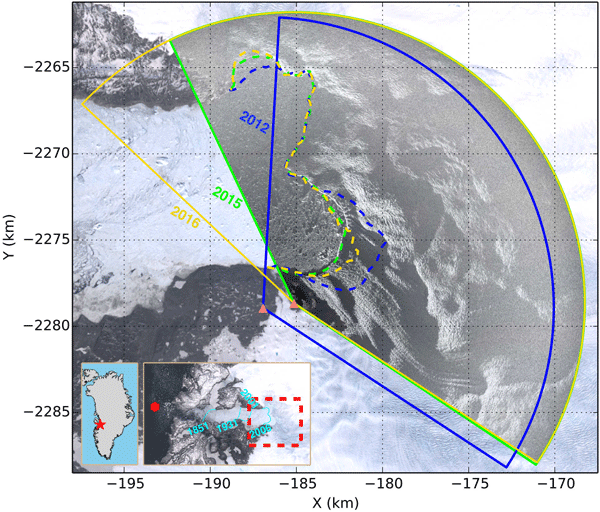 We analysed volume change, mass balance and ice flow of glaciers draining into the Larsen A and Larsen B embayments on the Antarctic Peninsula for 2011 to 2013 and 2013 to 2016. The mass balance is based on elevation change measured by the radar satellite mission TanDEM-X and on the mass budget method. The glaciers show continuing losses in ice mass, which is a response to ice shelf break-up. After 2013 the downwasting of glaciers slowed down, coinciding with years of persistent sea ice cover. 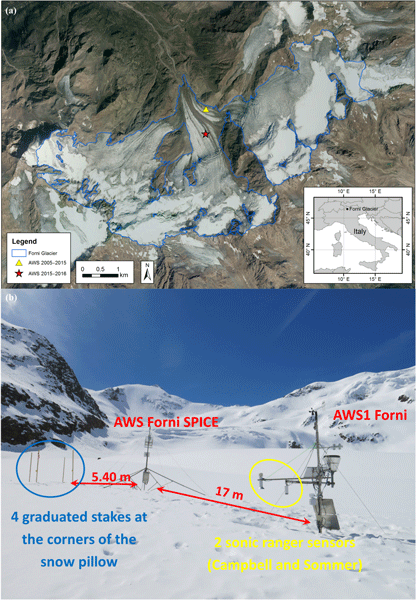 We present and compare 11 years of snow data measured by an automatic weather station and corroborated by data from field campaigns on the Forni Glacier in Italy. The methodology we present is interesting for remote locations such as glaciers or high alpine regions, as it makes it possible to estimate the total snow water equivalent (SWE) using a relatively inexpensive, low-power, low-maintenance, and reliable instrument such as the sonic ranger. Satellites, planes, and drones capture thousands of images of the Arctic sea ice cover each year. However, few methods exist to reliably and automatically process these images for scientifically usable information. 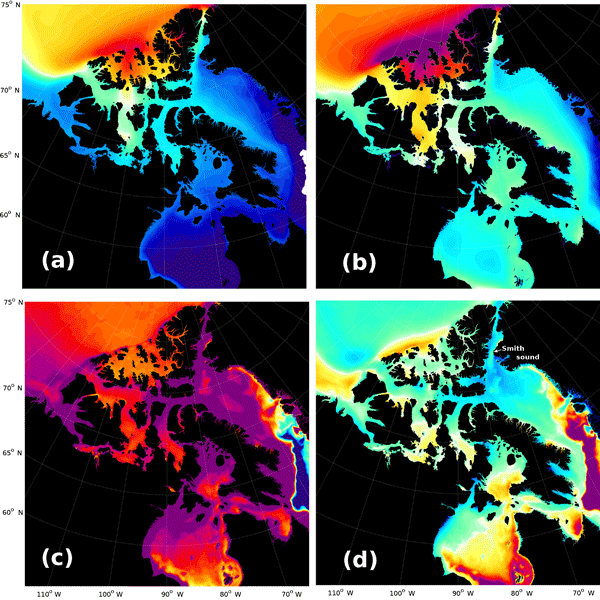 In this paper, we take the next step towards a community standard for analyzing these images by presenting an open-source platform able to accurately classify sea ice imagery into several important surface types. It is the first time that the color of melt ponds on Arctic sea ice was quantitatively and thoroughly investigated. We answer the question of why the color of melt ponds can change and what the physical and optical reasons are that lead to such changes. More importantly, melt-pond color was provided as potential data in determining ice thickness, especially under the summer conditions when other methods such as remote sensing are unavailable. Fleming Glacier is the biggest tributary glacier of the former Wordie Ice Shelf. Radar satellite data and airborne ice elevation measurements show that the glacier accelerated by ~27 % between 2008–2011 and that ice thinning increased by ~70 %. This was likely a response to a two-phase ungrounding of the glacier tongue between 2008 and 2011, which was mainly triggered by increased basal melt during two strong upwelling events of warm circumpolar deep water. 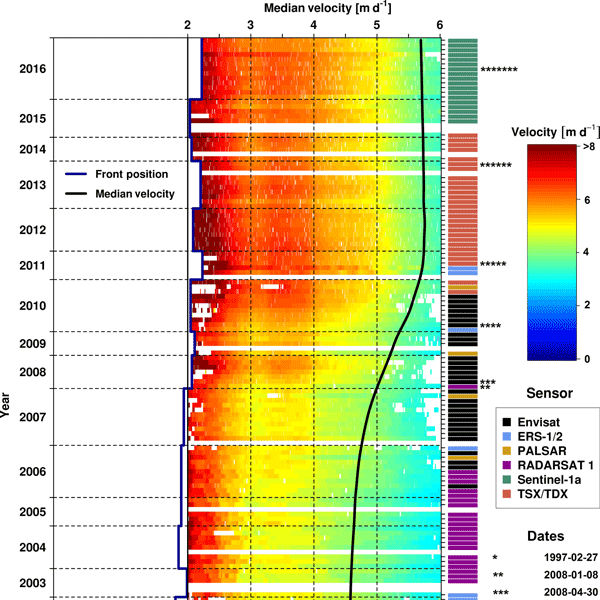 Time-varying velocity and topography of the terminus of Jakobshavn Isbræ were observed with a terrestrial radar interferometer in three summer campaigns (2012, 2015, 2016). 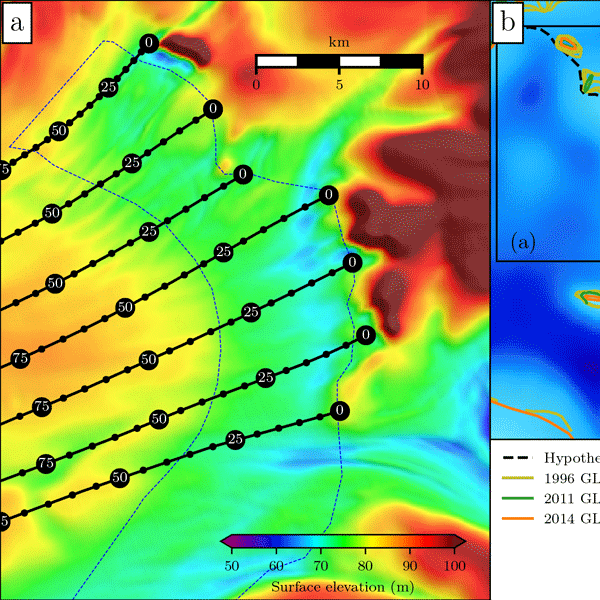 Surface elevation and tidal responses of ice speed suggest a narrow floating zone in early summer, while in late summer the entire glacier is likely grounded. We hypothesize that Jakobshavn Isbræ advances a few km in winter to form a floating zone but loses this floating portion in the subsequent summer through calving. 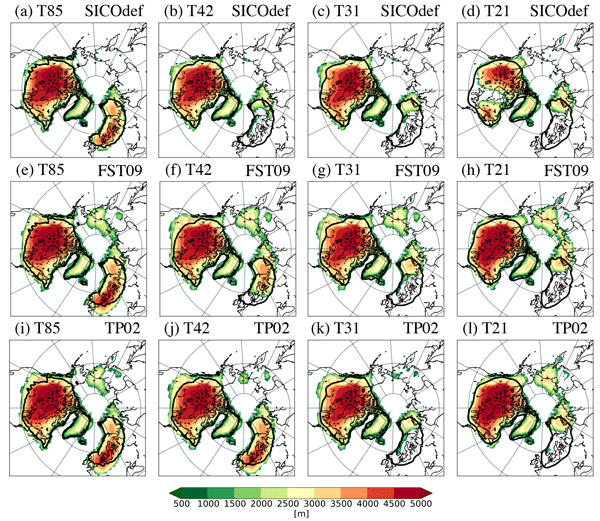 We reconstruct the pattern of surface accumulation in the region around Dome C, East Antarctica, over the last 73 kyr. 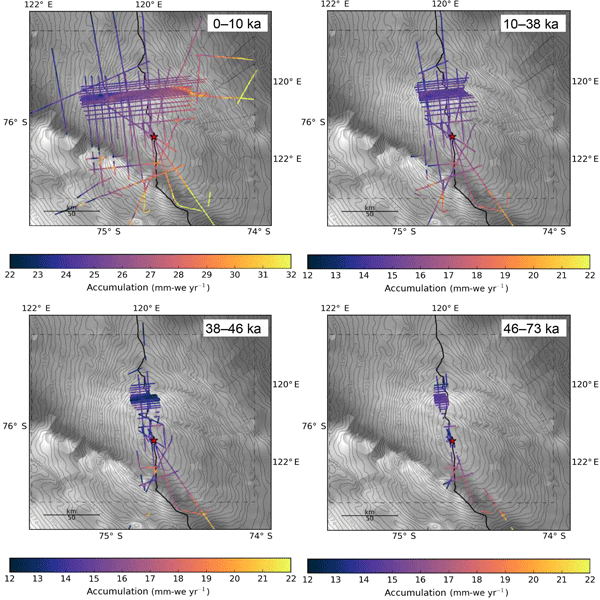 We use internal isochrones interpreted from ice-penetrating radar surveys and a 1-D ice flow model to invert for time-averaged and paleo-accumulation rates. We observe that surface accumulation patterns are stable through the last 73 kyr, consistent with current observed regional precipitation gradients and consistent interactions between prevailing winds and surface slope. 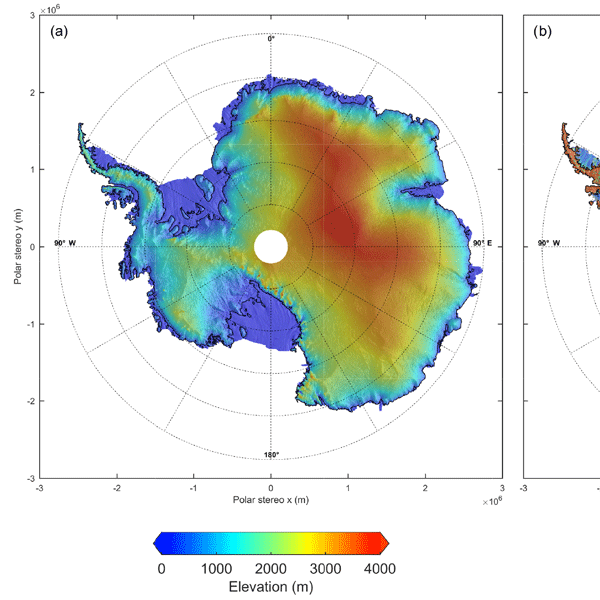 We used remotely sensed data and a numerical model to study the processes controlling the stability of two rapidly changing ice shelves in West Antarctica. Both these ice shelves have been losing mass since at least 1996, primarily as a result of ocean-forced melt. We find that this imbalance likely results from changes initiated around 1970 or earlier. Our results also show that the shelves’ differing speedup is controlled by the strength of their margins and their grounding-line positions. Water accumulated at the base of ice sheets is the main driver of glacier acceleration and loss of ice mass in Arctic regions. Previously glaciated landscapes sculpted by this water carry information about how ice sheets collapse and ultimately disappear. The search for these landscapes took us to the high Arctic, to explore channels that formed under kilometers of ice during the last ice age. 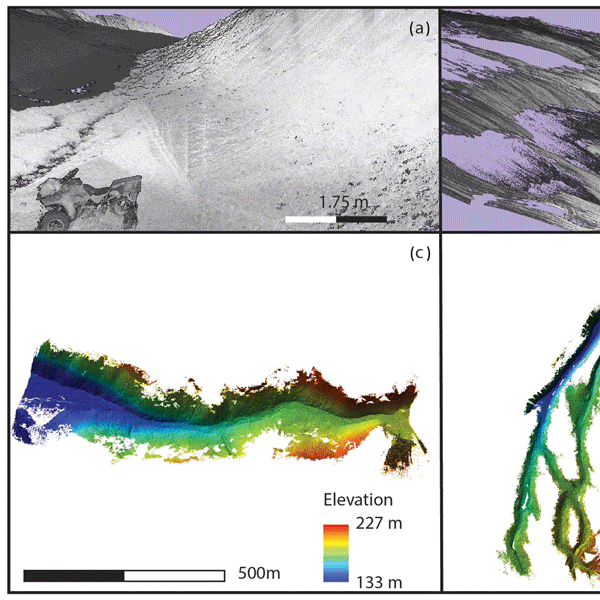 In this work we describe how subglacial channels look and how they helped to drain an ice sheet. We present a detailed evaluation of the latest version of the regional atmospheric climate model RACMO2.3p2 (1979-2016) over the Antarctic ice sheet. The model successfully reproduces the present-day climate and surface mass balance (SMB) when compared with an extensive set of observations and improves on previous estimates of the Antarctic climate and SMB. This study shows that the latest version of RACMO2 can be used for high-resolution future projections over the AIS. We investigate the effect of neglecting calving on Upernavik Isstrøm, West Greenland, between 1849 and 2012. Our simulation is forced with observed terminus positions in discrete time steps and is responsive to the prescribed ice front changes. Simulated frontal retreat is needed to obtain a realistic ice surface elevation and velocity evolution of Upernavik. Using the prescribed terminus position change we gain insight to mass loss partitioning during different time periods. Two recent studies suggested a slowdown in mass loss after 2000 of the Juneau and Stikine icefields, accounting for 10% of the total ice cover in Alaska. Here, the ASTER-based geodetic mass balances are revisited, carefully avoiding the use of the SRTM DEM, because of the unknown penetration depth of the SRTM C-band radar signal. We find strongly negative mass balances from 2000 to 2016 for both icefields, in agreement with airborne laser altimetry. Mass losses are thus continuing unabated. On 26 June 2008, a rock avalanche with a volume of ca. 500 000 m3 detached in the north-east facing slope of Polvartinden, a high-alpine peak in northern Norway. 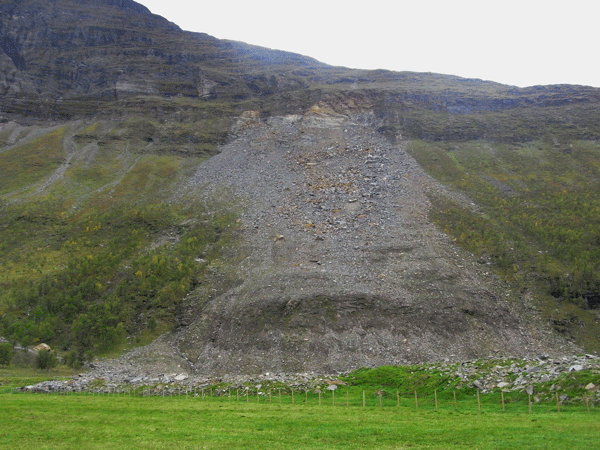 Ice was observed in the failure zone shortly after the rock avalanche, leading to the assumption that degrading permafrost might have played an important role in the detaching of the Signaldalen rock avalanche. Here, we present a four-year series of temperature measurements from the site and subsequent temperature modelling results. We present a new digital elevation model of Antarctica derived from 6 years of elevation measurements acquired by ESA's CryoSat-2 satellite radar altimeter. We compare our elevation model to an independent set of NASA IceBridge airborne laser altimeter measurements and find the overall accuracy to be 9.5 m – a value comparable to or better than that of other models derived from satellite altimetry. 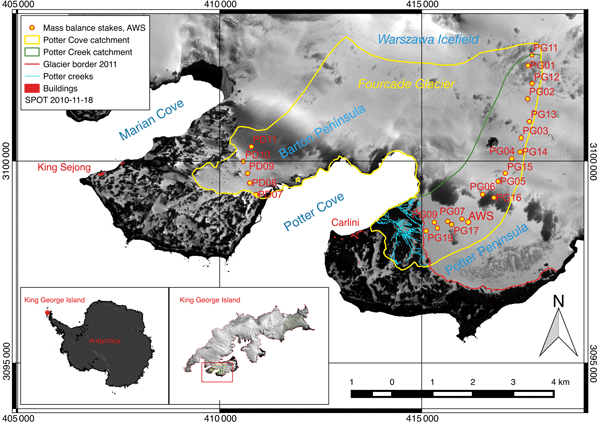 The new CryoSat-2 digital elevation model of Antarctica will be made freely available.